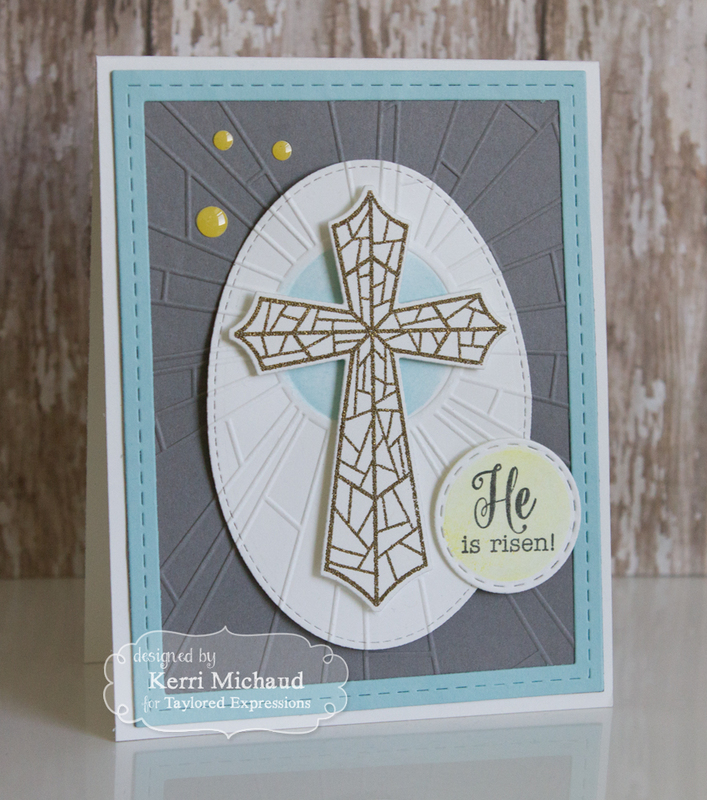 TE February Sneak Peeks: He is Risen! Hello! 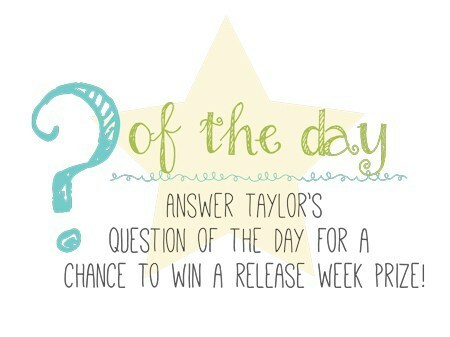 It's Day 2 of sneak peeks from Taylored Expressions, and all of the new products will be available on Thursday, February 9th at 7 AM PDT! For my first peek today, I used the gorgeous new Redeemer Embossing Folder, along with the coordinating My Redeemer Lives Stamp Set and My Redeemer Lives Dies. I started by embossing a piece of Earl Grey cs with the Redeemer Embossing Folder. I then cut a piece of Sugar Cube cs with a Stitched Oval Stacklet and then embossed it with the Redeemer EF. I lined the oval up with the lines on the Earl Grey panel and adhered it with foam tape. I lightly sponged the circle with Sprinkles Ink and then stamped one of the coordinating crosses from the My Redeemer Lives stamp set with Versamark and heat embossed with Zing! Gold Embossing Powder. I cut the cross out with the coordinating My Redeemer Lives Die and adhered it with foam tape. To finish it off, I framed the entire panel using some Sprinkles cs and a Stitched Frame Stacklets Die. 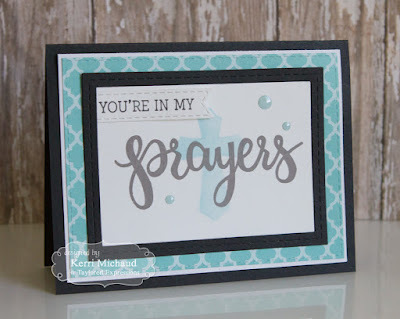 I then added the sentiment that I stamped with Oreo Ink, cut out with a Stitched Circle Stacklet, and lightly sponged with Lemon Meringue Ink. I also added a few of the new Lemon Meringue Enamel Shapes. 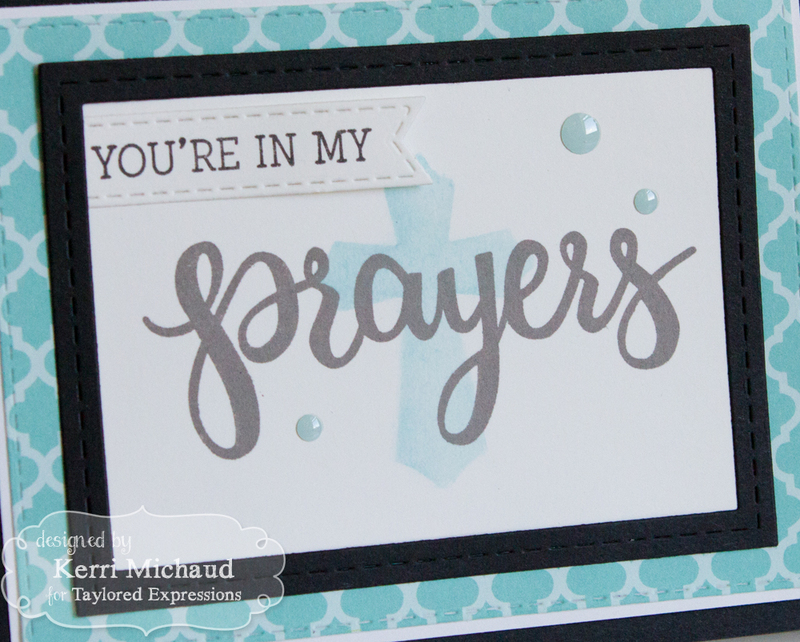 I stamped the first part of my sentiment using Oreo Ink and cut it out with a Stitched Banner Stacklets Die. 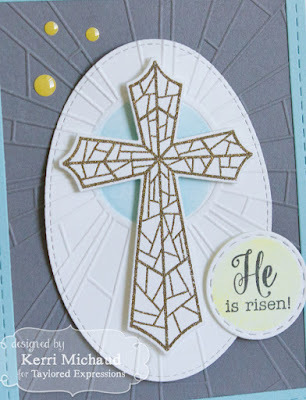 I then cut out a piece of Sugar Cube cs and lightly sponged the cross in the center using a My Redeemer Lives Die, some Sprinkles Ink, and a Clarity Stencil Brush. 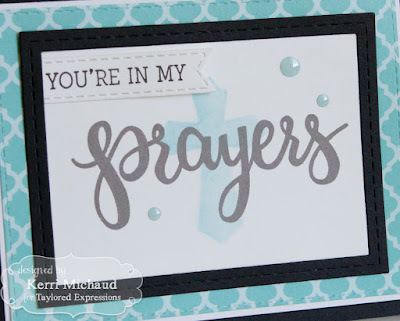 I stamped the "prayers" over the cross using some Earl Grey Ink and then framed the panel using some Oreo cs and a Stitched Frame Stacklets Die. I added some Salt Water Taffy Enamel Shapes and the dp is from the TE Hello Happiness 6x6 Paper Pack. Very simple but I just love this message. Totally STUNNING cards!! 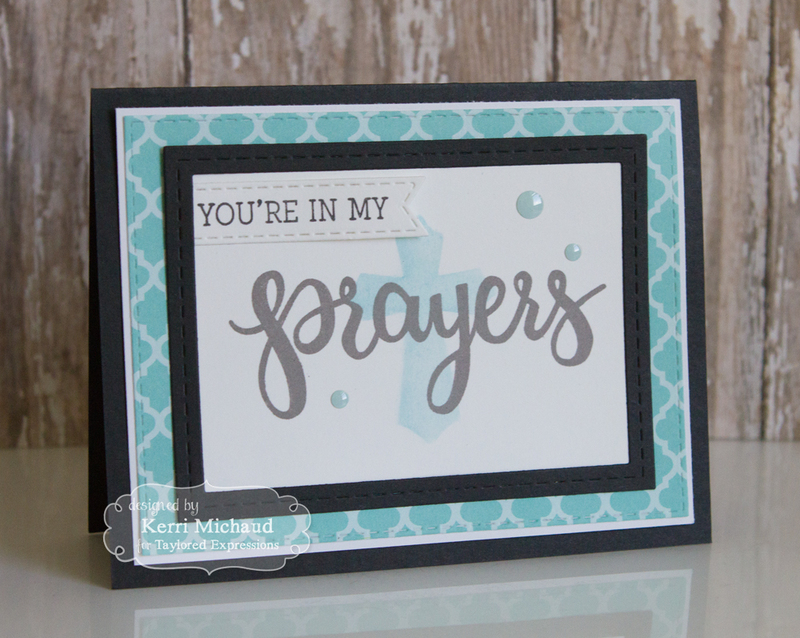 Love the colors that you used! !